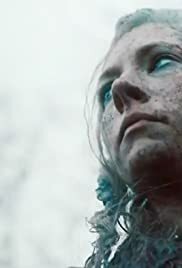 Ubbe achieves one of Ragnar's dreams; Ivar hatches a new plan in Kattegat, while preparing for a divine arrival; a settler in Iceland returns in a terrible state; King Alfred faces his greatest threat yet. Mystical crap all the time, insanity, dark, brooding...what is this series? Holloween XXI or Jason XI set in a viking backdrop? Does anyone believe the highly independent, forthright, take no crap vikings would put up with Ivar the Boneless's silly, murderous insanity? The writer is channeling his own idiocy, like the segments with Floki, and destrorying this otherwise excellent story. This series is going downhill fast! I used to put this series at the top of my Must Watch Immediately list, Now I sometimes forget to watch it at all.